If you are looking for an infrared gas grill that you can take on the go and still get great production, look no further than the selection of TEC Products at Embers Living. TEC offers infrared portable and patio grills that make grilling fun and excited no matter where you are at any time of year. 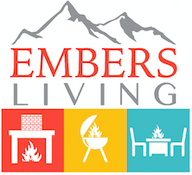 Check out the large selection of TEC gas grills from Embers Living and the various sizes to find the right one for you. TEC Patio FR Infrared Gas Grill - 44"